21.03.2017. 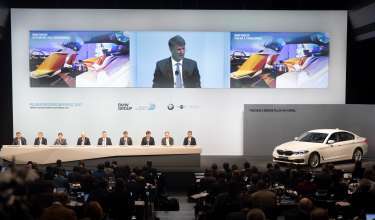 BMW GROUP ANNUAL ACCOUNTS PRESS CONFERENCE 2017. BMW GROUP ANNUAL ACCOUNTS PRESS CONFERENCE 2017. Highlights of BMW Group Annual Accounts Press Conference 2017. Munich. Tuesday, 21. March 2017. Transmission of the BMW Group Annual Accounts Press Conference 2017. BMW Group sales reach new all-time high. Record year 2016: BMW Group remains on course.